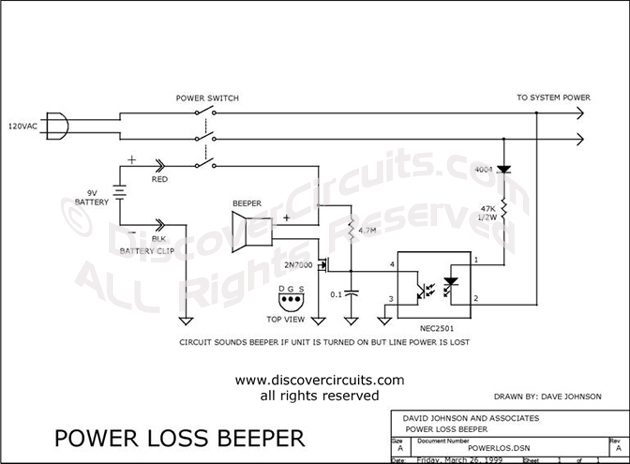 Circuit: MACHINE POWER LOSS BEEPER__ Circuit designed by David A. Johnson, P.E. For some medical equipment it is important for an operator when power is lost to the machine. The beeper is powered from a 9v battery and requires the machine to have a power switch with a third set of contacts.